Max Porter of the Fall 2014 semester has been busy since returning home. He has joined a well-known and successful robotics team as the all-important operator of the robot and also earned his Eagle Scout award. Unfortunately, when Max arrived home, it was not to the perfect homecoming that some Alumni might hope for. Upon returning, he had to cope with the fact that his best friend since lower school had passed away while he was at the Island School. Eventually Max was able to work past that and move on to new pursuits. 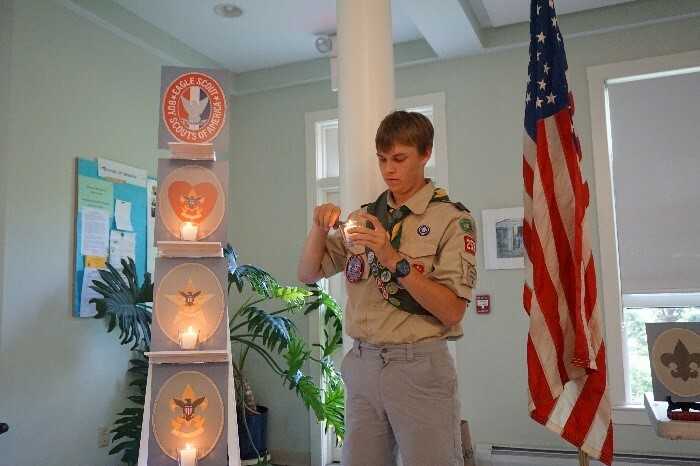 To start this process, he jumped into his Eagle Scout project. Before coming to The Island School, Max had already completed all of the necessary merit badges and paperwork so all that was left was for Max to do his final project. Max’s idea was to build a shed to store his town’s fold up hockey rink that was brought out every winter but had no place to be stored resulting in damage from exposure each year. Max himself designed the structure for this shed and then, with a team of fellow scouts, successfully built the shed for his town. After the completion of Max’s Eagle Scout project, he took a job at the Thayer School of Engineering as a machine shop assistant and TA. This position laid the groundwork for Max to become inspired to join his current robotics team. That same winter that Max joined robotics, he also joined a swim team and ended up qualifying for States. Recently, Max took a trip to Costa Rica with 20 other students to study the “local ecology and how it affects the economy in Costa Rica.” The group stayed with host families in a town called Monte Verde which is located near the rain forests. Together they learned all about coffee plantations and the food exports that the country produces. While in Costa Rica, Max received an e-mail notifying him of his acceptance into the Colorado School of Mines. Max has “decided to go there and will spend the next four years of my life in Golden Colorado.” Max plans on majoring in either aeronautical or automotive mechanical engineering during his time there. Max got started in the Scouting program at a young age as a Cub Scout. He loved all of the building activities that were part of the program. In particular, Max enjoyed building pinewood derby cars, rockets, and planes that he and his troop would race. Every year, Max was proud to say that his Pinewood Derby car earned a spot on the victory podium at the end of the event. After getting his start in the Cub Scouts, Max moved up the ranks and found that he enjoyed camping and learning survival skills. The Scouts taught Max to “be just as comfortable sleeping in the woods as I would be sleeping in my bed.” Carrying forward his love of building things, Max got into robotics while he was in 8th grade. He was having a bit of trouble finding an extra-curricular niche that felt ideal to him but decided that since he was into RC cars at the time that robotics might be a good fit. Originally, Max was a bit skeptical of the joining the robotics team because he “figured it would be a group of people with huge glasses staring intently at computers.” As it turns out, things could not have been further from that impression. Max describes his experience with robotics as a “50/50 mix of 25-35-year-old coaches and high school kids blasting rock music in a large shop. The adults were acting like kids and the kids were acting like adults. It was perfect.” 2012 was the year that Max joined up with robotics and the very next year in 2013 the team qualified for the world championship completion held in St. Louis. A little known fact is that more countries participate in this world championship than do in some Olympic games so this was a big deal for Max. In 2015, Max became the driver for his team’s robots and, again, they qualified for the world championship but unfortunately could not raise the necessary amount of funding to attend. 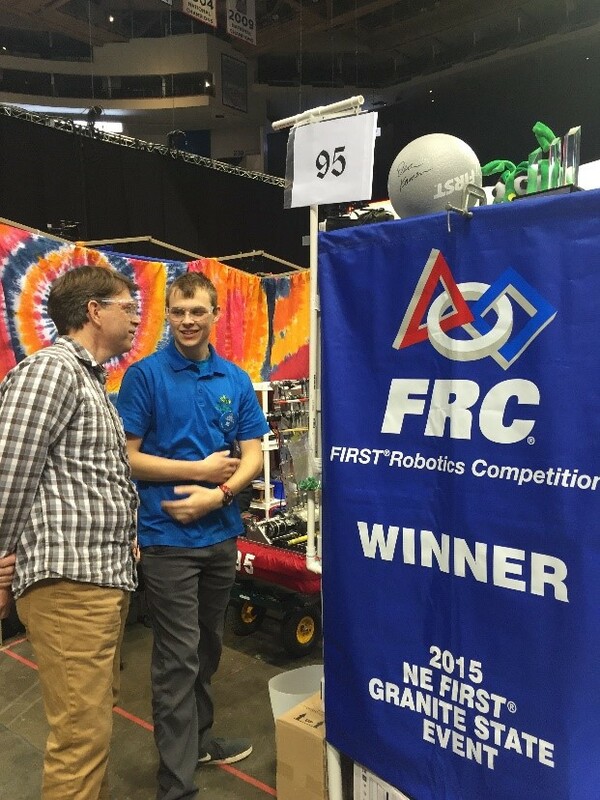 That year however, Max’s team won a prestigious award because of the excellent design of their robot. Max learned a few things while he attended The Island School, but he credits one thing as one of the more important lessons. He says that the “main thing that I learned at the Island School was how to take something I learned in one class and apply it to another. 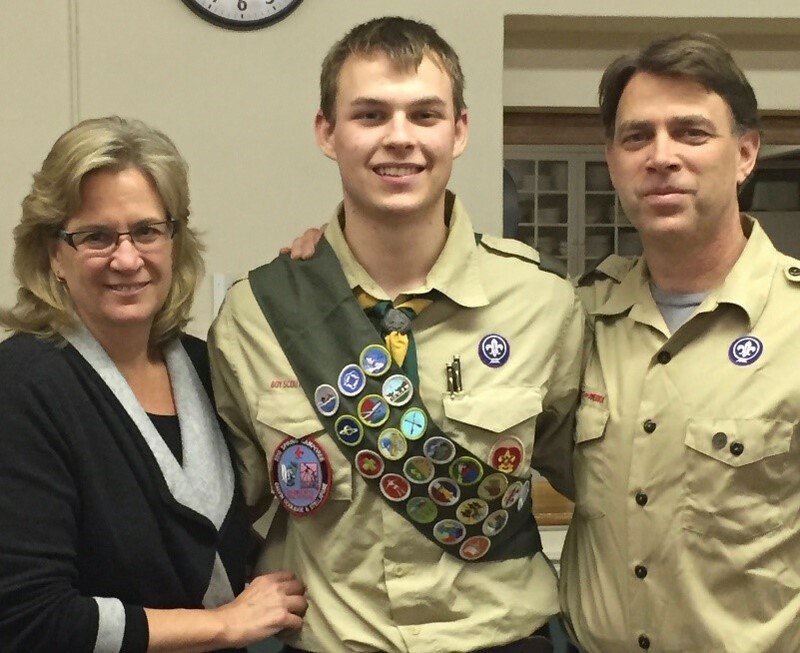 This taught me to apply skills from Boy Scouts to robotics and taught me to take what I learned in robotics and apply it to math class.” It made him a better learner overall and allowed him to make stronger connections throughout his coursework. This will serve him well when he transitions to the Colorado School of Mines. Once there, Max plans to join their robotics and Formula SAE teams. This will allow Max to combine his enthusiasm for robotics with a passion for cars. In the future, Max sees a bright future in engineering and is looking forward to any possibilities that come with that. Max, good luck in Colorado! We here at The Island School are excited to hear what you do or build next.